Video of The Blind Smartphone Camera Test 2018! 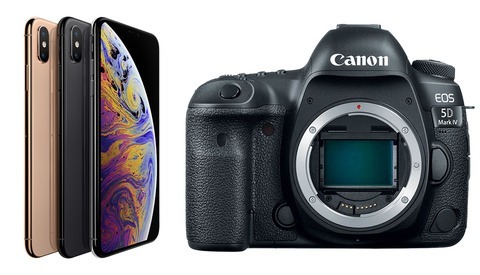 The iPhone XS and Google Pixel 3 are widely considered to have today's best smartphone cameras. But neither camera made it past the first round in Brownlee's camera phone tests. Instead, both of the respective flagships were knocked out in the very first round. 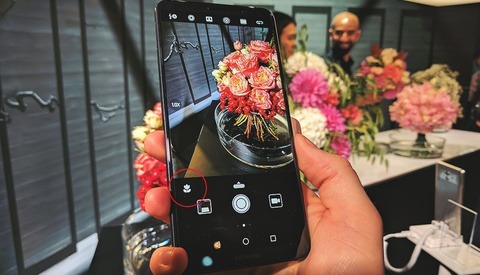 While some features on other manufacturers' phones may be better, it is fairly well accepted that these two phones really do provide the best overall mobile image quality money can buy. So, how does this happen? Of course, the obvious issue here lies in the same place most issues today do: social media. To get as large of an audience as possible, the blind tests were performed on images posted and viewed on Twitter and Instagram. While Twitter features arguably worse compression than Instagram, both platforms heavily compress images in ways that remove detail of all kinds by the time an image hits a viewer's eye. Furthermore, most people viewing these images are viewing them on smartphone screens. And that quickly, improved resolution, sharpness, contrast, and overall detail are all almost simultaneously thrown out the window, because on the platforms where, by far, most images in the world are consumed, you just can't tell at all. Granted, better image quality does matter in other applications, but by the end of these tests, it was clear something other than objective image quality was playing a role (at least for the platforms that serve the most images views by far). There's obviously a massive subjective component: people like brighter, warmer, punchy photos. So when the image quality playing field is leveled, it's the light, golden, and contrasty photo that reigns supreme. Fair or not, this information is something we can use to our advantage. While some of you may have darker styles, ensuring you at least have true whites and slightly warm-shifted images will undoubtedly help increase your engagement. For you die-hard Apple, Google, Huawei, and Samsung fans, all is not lost. 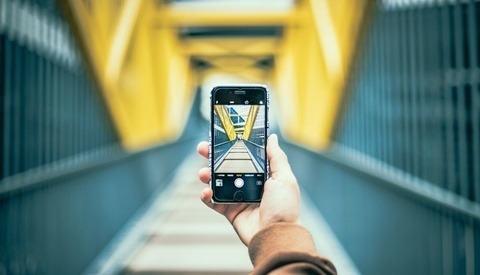 Your camera phones simply expose properly and don't add orange filters over raw images. But sadly for us, that's how people like them, apparently. Thankfully, this is generally considered to be relative. So if blue is your thing or if you love those crushed blacks, that's fine (although your faded blacks make you a terrible human being). But consider warming and brightening up your images just a bit compared to what you would normally do, and you'll likely see greater social media growth. So now you know: increase your exposure to increase your exposure! Do you guys save a template so that you repost this article every time a new phone comes out? The notion that you gear doesn't matter is beyond absurd. Doesn't matter to whom? Obviously it won't matter to 95% of people who primarily use social media to view photos. Very interesting test to show how the non-professional-photo-takers feel about typical smartphone photographs. Use of color and an interesting composition will always reign supreme to the majority of human eyes and brains. What a great reason to put away all the fan-boy sentiment that divides us all and to embrace the simple beauty of photography that can unite. Gear doesnt matter, output does. You have a duty to your clients to deliver the best work you can do and if you're out there shooting projects on your phone you're failing people who trusted you. Your clients don't care what gear you use if you get them the results they expect. "What a great reason to put away all the fan-boy sentiment that divides us all and to embrace the simple beauty of photography that can unite." no affiliate links, im confused. gear doesnt matter up to a certain point. More people eat at McDonald´s than in other restaurants. That must mean that Big Macs are healthy and better than real food. ...or at least that good food doesn't matter. No it means that if you want to make lots of money in the restaurant business, owning a few McDonalds stores is a good way to go. Maybe one day I will own a couple of photographers who shoot exactly the kind of mediocracy customers/consumers so desperately seek. What do I care if their precious memories look like Instagram's latest trend of 2015 a couple of years from now? Till that day I´ll try to find middle ground between what my clients want and what I want to do. Let's face it, this test demonstrates which kind of look suits more people on social media sites. That doesn't necessarily translate to what any particular photo client may like, or even what any given photographer's target market will generally prefer. If we want to garner a large social media following then this comparison is very helpful. But usually those who aim at getting such large follower counts are effectively selling products, not photography services. We now know the direction that more and more smartphone manufacturers will take their OOC images. Gear does matter. I didn't see any BIF shots or shots or a deer 50 yards away or a motocrosser in the midst of a jump in this video.